I had a reader question come in that was a bit sensitive and specific, so I won’t post it here. It pertained to receiving a job offer that had some peculiarities around the “paid time off” (PTO) situation. Given the time-sensitive nature of such a thing, rather than add it to my Trello backlog of post topics, I shot him an email offering a few quick thoughts. This led to a brief discussion of hiring and PTO in general, and a more general question. This is a classic conundrum. Job interviewing advice 101 says, “don’t talk about pay or vacation — impress them, secure the offer, and then negotiate once they like you.” If you ask about hours or vacation during the interview, you might create the impression that you’re a loafer, causing the employer to pass on you. In my popular post about “sucker culture” I suggested that you shouldn’t feel guilty for not pouring in extra hours for free. I then offered a follow up post with ideas for escaping that culture when you’re in it. But it occurs to me that I haven’t talked about avoiding it altogether. And that’s really what’s being asked here: how do you avoid sucker culture in the first place, without torpedoing your chances during an interview? The advice I’m going to offer here is, for the most part, advice that errs on the side of caution and not hurting your chances during the interview process. So, as you examine the following strategies, bear in mind that they may result in false negatives for exposing a sucker culture. For a lot of positions, you’ll need to do two rounds of interview onsite. That gives you two opportunities to see what things look like at the day’s endpoints. Try to schedule your interviews for 8 AM or 5 PM, ideally. Most organizations will understand that you’re currently working and need to sneak away, so there’s nothing particularly odd about asking for times as early or as late as possible. It will make total sense to them, and it will give you the opportunity to see how many people are there at such times. If you find that the office is packed with workers at both 8 AM and 5 PM, that, in and of itself is a smell. But, beyond that, you need to look at their demeanor and activity. A room full of people talking and laughing at 5 PM may indicate a great place to work — the team is so tight that they stay after hours to socialize. On the other hand, a room full of frazzled looking people at both 8 and 5, palms against foreheads and sighing with frustration, is a good indicator that this company might demand more than what the offer letter lays out. Now that you’ve used the timing of your interviews for recon, it’s time to move the intelligence gathering into the interview itself. You’re likely to have interviews with a relatively predictable cast of characters. This cast will likely include some combination of “senior person who does what you’re going to do,” “prospective boss,” “dotted line boss,” “different specialty coworker” and “people-person like HR.” You’ll have to use your discretion about which one(s) of these characters makes the best target for each of the next few techniques. Getting a schedule of who you’ll be talking to from your recruiter or contact person will help you plan. This technique could apply to pretty much anyone here, except, perhaps. for HR. During the portion of the interview where they ask you discussion questions, find a way to work in a tale about a lazy coworker. This should be a teammate of yours that would come in late, leave early, fail to get things done, and for whom you would frequently cover. (Don’t worry, it doesn’t actually need to be true). This might come from the iconic, “what’s your greatest weakness” question and you can talk about how you have a tendency to let people take advantage of you or something. As long as you throw the narrative out there of covering for this person. This will allow you to do a little “team player” grandstanding, but your actual purpose is to see how your interviewer reacts to this. In an intense sucker culture, a boss or senior figure will likely say something like, “well, you won’t have to worry about that here — that type of person doesn’t work out” or “we keep pretty strict track of when people come and go.” Now you have your information without tipping your hand. This next one is fair game for pretty much anyone with whom you’re talking. Save it for the “do you have any questions for me” portion of the discussion. Your goal is to get the other party to talk about why people leave the company, but just blurting that out would be a little awkward. I’d try this on for size. I’m a firm believer in mutual fit, so I want to understand what differentiates successful hires from non-successful ones. Can you describe to me, on the one hand, what have made your best hires so successful and, on the other hand, why people leave or don’t work out? Your mileage may vary on the exact phrasing, but you want to get them to talk about who doesn’t work out and why. At this point, look for the same red flags. “Wouldn’t go the extra mile,” “can’t take the pressure,” “didn’t like our customer-first policy,” are examples of the sorts of smells you’re looking for. Remember, this isn’t an exact science — you’re looking for warning signs. If she rattles off several hobbies, that’s a good sign that (1) the company allows for some work-life balance and (2) that she takes an interest in her reports as humans. If she looks at you blankly or says something like, “who has time for hobbies? !” it’s a bad sign. This one and especially the next one will be higher risk plays, comparatively. These may result in demerits during the grand interview scoring process, so caveat emptor. This is something you should only do when being interviewed by your prospective boss (or someone above him in the org pyramid). Simply state what you require in terms of PTO and work-life balance. This is subtly different from asking them what they give, and it’s a subtly stronger bargaining position. The key distinction is in the fact that another company thinks you’re trustworthy or reliable enough to be afforded these freedoms. Job offers are heavily anchored by what was happening at your previous company — this applies to pay, benefits, and PTO, so work-life balance won’t really be an exception. We’re so conditioned to present our perfect selves for the sake of securing an offer that we fail to see a case of “be careful what you wish for.” If having a balanced life and not pouring countless free hours into a company are important to you, why even try to secure an offer from a sucker culture company? It’s not going to be an arrangement that makes both parties happy, but if you get that offer, there’s the very human temptation to take it and hope that you can change the company for the better and get your way. You can’t, and you won’t. So isn’t there a chance it’s actually better never to have that offer? Fail fast and early, as it were? It can be hard to do this, and, frankly, passing on unsuitable offers before they came was not something I ever did until pretty recently. But I’ve also felt the pain of accepting offers for what I wanted them to be instead of what they were. Be patient and stick to your guns, and you’ll be able to find an offer that makes sense to you. And, if enough of us do it, maybe sucker culture will become less pervasive. My hope is that we can start sort of a grass roots movement, based on market demand, to alter expectations. 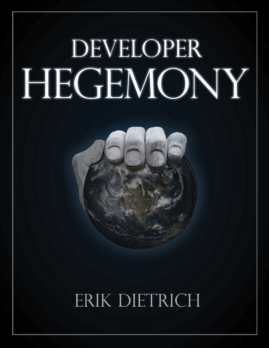 If enough talented developers pass on companies playing goofy interview games and imposing silly working conditions, I think we might start to see a gradual shift in both the market’s power dynamic and practices at these organizations. I love this site. Simple and straight forward. I’m going to promote the hell out of it. If you’re not already I suggest hosting it somewhere with strong ” right to speak” policies or it will end end up gimped by lawyers, like Glassdoor. I really do think the confidence angle is quite important. A lot of interviewers will probably respond subconsciously to that confidence by feeling like they’re doing something wrong if they’re not offering good work-life balance. A lot of people who have only ever been on the interviewee side of the table probably don’t realize that those doing the interviewing have concerns about judgement as well. Yes and I don’t get it. The contract is the single most important thing. I had things in previous contracts where I wasn’t allowed to work for anyone else or all the code I wrote belonged to the employer even if it was done on my own time, on my own computer. Such things have no place in a contract. As a permanent developer, we only have a certain number of hours per week to work for the employer. Whatever we do on our own time, they should never try to control or limit. Ugh… those “we own everything you do on our time or your own time” clauses are repugnant. I actively encourage all developers to ask about that right up front and, if it exists, to tell the prospective employer that such a thing is a deal-breaker on principle. I’m not even sure if such a thing is enforceable, but I am sure that it’s a gross overreach and a strong arm tactic. Simple tip: before even applying to a company, use LinkedIn to find people who left there in the past 1-2 years and ask them why, such as the overworking and lack of social life. At worst, they won’t reply. You might get some information that will help you decide if you even want to work there, and at best, they might be able to refer you along to an ex-colleague still on the inside. Brilliant! I only read reviews from ex-employees on glassdoor for this reason. ‘What’s your greatest weakness?’ is a horrific leftover from the 20th Century. If it’s asked of me in a job interview, I quickly and politely wind up the interview. It suggests to me that the company doesn’t innovate and that I would just stagnate there. This one never bothered me that much. If someone has ambitions and wants some certain promotion in 5 years it’s better both sides know that up front. For example if someone said they wanted to be a Software Architect in 5 years and the company doesn’t have an architect position it would be good that everyone knew that right away. Granted that’s probably not what most interviewers are thinking about when they ask the question. If it contains phrases like “work life balance” and similar reassuring stuff it is worth looking further while remembering that the comapny may be deceiving itself and lower level managers ( and teams) may have a long hours culture. I agree. I always look at those ‘fast pace’ wording and wonder why do they even write those words? is it to attract young developers that don’t want to work with old and slow folks? Certainly a good early candidate to get a read on the company, though I’d say there are some that offer “work-life balance” because the person writing the job ad is out of touch or engaging in wishful thinking. This makes total sense to me, and I think fits in nicely with the conception of “lay out your requirements with confidence.” I also think that it probably makes a subtly good impression that you’ve thought through and organized your life enough to be able to articulate governing priorities. The problem is, virtually every company I interview with is a “sucker culture” company. The fraction of companies offering reasonable work-life balance has been shrinking steadily over the course of my career. I think they are out there, though I can imagine this varying widely by region and domain, among other things. I doubt you’ll see too much balance in, say the high frequency trading sector or in Silicon Valley, but I’ve definitely seen regions/domains where it is pretty common. Certainly a reasonable strategy. I think it’s easier to endure a gig like that if there’s a favorable exit that you can always keep in your sights. I suspect that saying in the interview that long hours are a sign of poor management would not go down too well but while saving you from a lousy job MIGHT stimulate change in the company. I also note some companies feel that if you cannot fit your work into 40 hours a week you are not good enough for the job. It took me 20 year in IT to figure this out. I figured out the overtime for free thing pretty quick. I would like to point out that many companies I worked for have a sort-of quid pro quo trading flexible hours for OCCASIONAL overtime that I think is reasonable. I’m always telling my younger co-workers that if they work 10 hours overtime a week it’s like taking a 25% pay cut. An entirely rational approach, I’d say. It’s nice to hear that this hasn’t been an issue for you, per se, too. I’ve gotten a mixed bag of opinions in general, with some saying every employer wants excessive unpaid overtime and with others saying they’ve never encountered it. Personally, I can only recall being subject to it in spurts (pushes toward a release or something), rather than as an ongoing matter of course. Though, like you, I probably wouldn’t have stuck around real long in that case.